At the rate we’re going with new information about Christopher Nolan’s next movie, we still might have no idea what it’s about even after it premieres in 2020. We still don’t know what it’s called, but a month ago we learned that it will star BlacKkKlansman’s John David Washington and that it will be a “massive, innovative, action blockbuster” (if you can believe that). 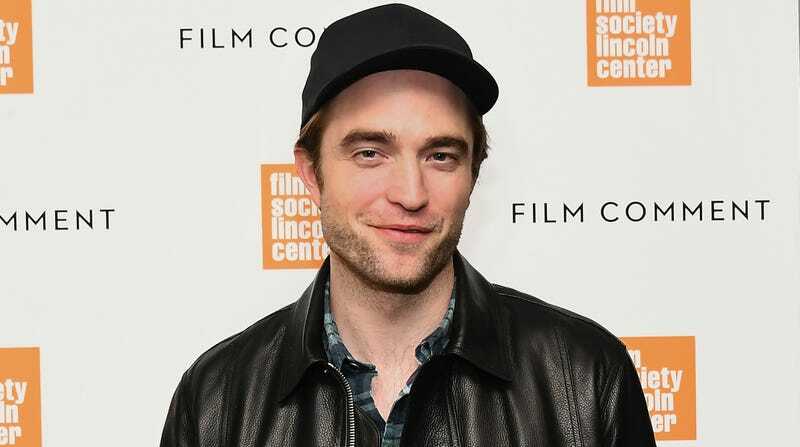 Now, in what qualifies as a pretty big update, we have also learned that Robert Pattinson will also be starring in the movie and that the script was exciting enough to open him up to the idea of doing another “big movie”—something he’s been wary of for a while now, for reasons we certainly cannot even begin to guess. Speaking with USA Today, Pattinson says he’s been “sworn to secrecy” and that he had to be locked in a room while he read the script, but he says it’s “unreal.” He also notes that Nolan is “the only director now who can do what is essentially a very personal, independent movie that has huge scale,” so it’s clear that Pattinson’s current indie-leaning sensibilities are what helped draw him to Nolan. Beyond that, we’ve still got nothing. However, if Nolan is so dedicated to keeping every bit of information quiet, we’ll just have to make more wild guesses about what this movie is. Maybe it’s about a teenage vampire who plays baseball and falls in love with a human girl? Yeah, that sounds right.